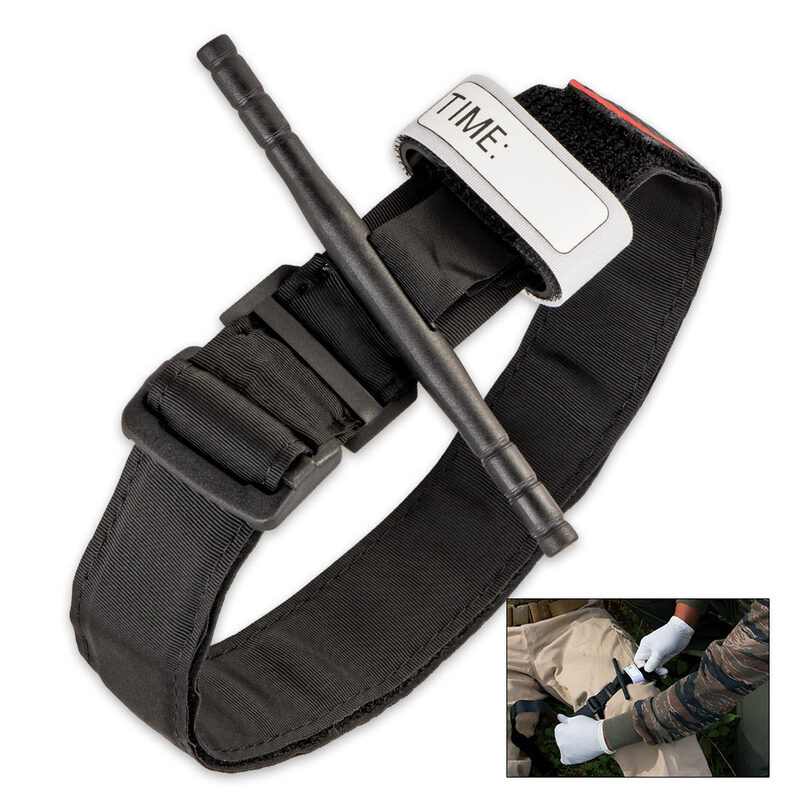 Military Emergency Tourniquet | BUDK.com - Knives & Swords At The Lowest Prices! 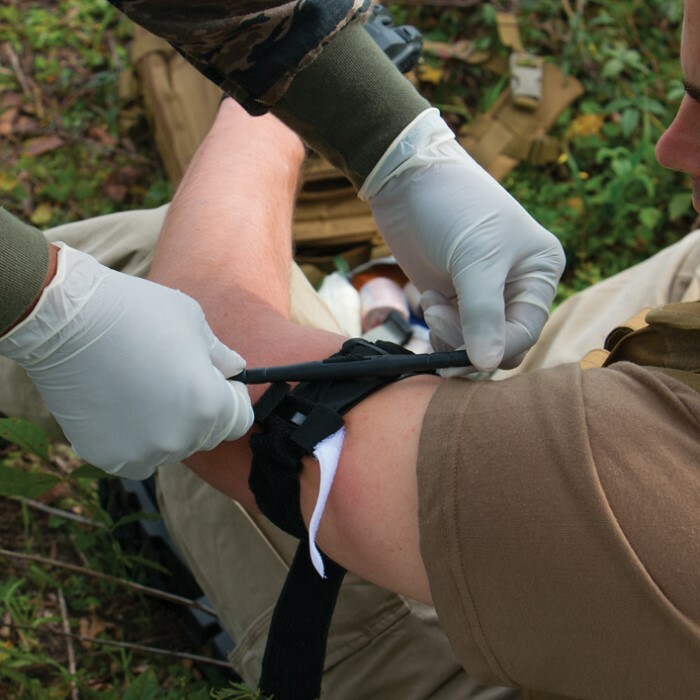 The Military Emergency Tourniquet is an item you have to have in your emergency medical gear. 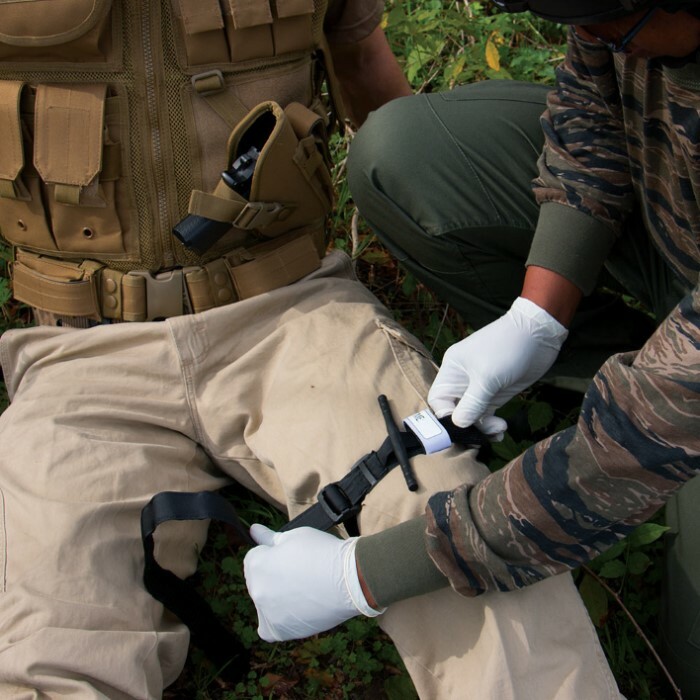 It utilizes a durable windlass system with a free-moving internal band providing true circumferential pressure to the extremity.Its unique dual securing system avoids the use of screws and clips which can become difficult to operate under survival stress or where fine motor skills are compromised. This reusable tourniquet is designed so that it can be used in all weather conditions. It also features a label to record time tourniquet was applied to patient.